I was in Kochi on an official trip when I had a day spare until I headed back home. Thankfully, my local colleague offered to show me places around the city. We started early morning to visit the Chinese Fishing Nets and Fort Kochi Beach. Both were lovely sights. But soon my excitement started to dampen after seeing St. Francis Church, Willingdon Island and Marine Drive. These were all nice places but nothing you could take back home. I think my colleague noticed my disappointment. 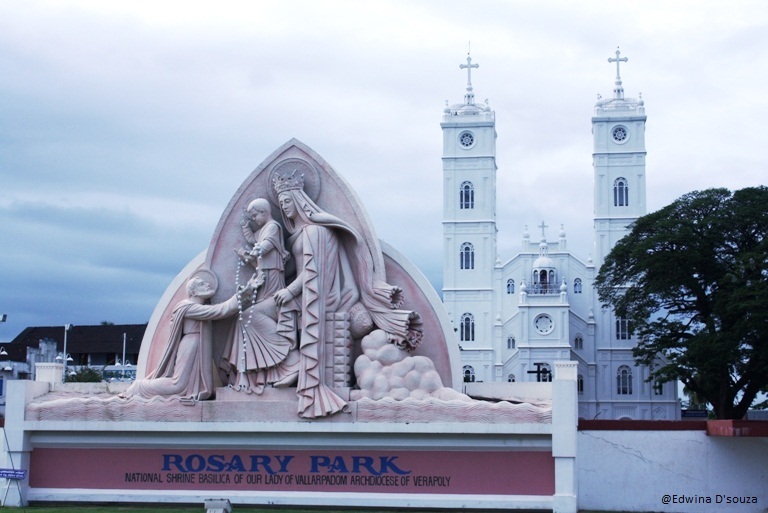 So just before we could head back home he suggested that we see this church called Vallarpadam Church, also known as Basilica of Our Lady of Ransom. From Marine Drive he pointed the location of the church on an island connected via a bridge. I decided to check it out. If nothing, at least the drive would be worth it. We arrived at Vallarpadam to see a beautiful white washed Church. The structure was rebuilt in 1676 after it was destroyed during a flood. The original church was built by the Portuguese in the year 1524. 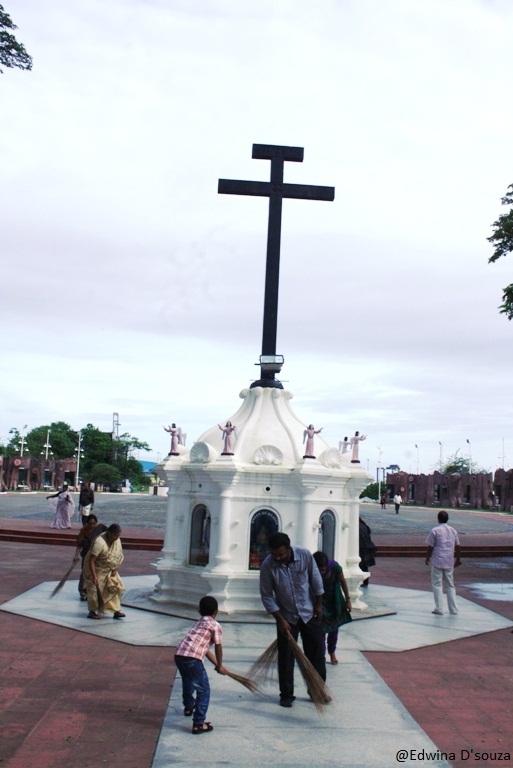 The church is dedicated to Mother Mary, also known as “Vallarpadathamma”. An interesting tale that surrounds the history of this church is regarding the miraculous powers it is believed to hold. It is said that a local lady named Meenakshiyamma was travelling with her son in a boat when they became a victim of a horrible storm. Meenakshiyamma and her son managed to take shelter under a rock and remained there in the hope of rescue. It was then, she promised to offer her lifetime towards the service of Vallarpadathamma if she survived. On the third day, she and her son were rescued by some fishermen. The church is believed to have carried out miracles mostly for fishermen at sea. Hence, the local fishermen have tremendous belief and faith in this church. They often bring their new boats here to bless them before they are taken out at sea. 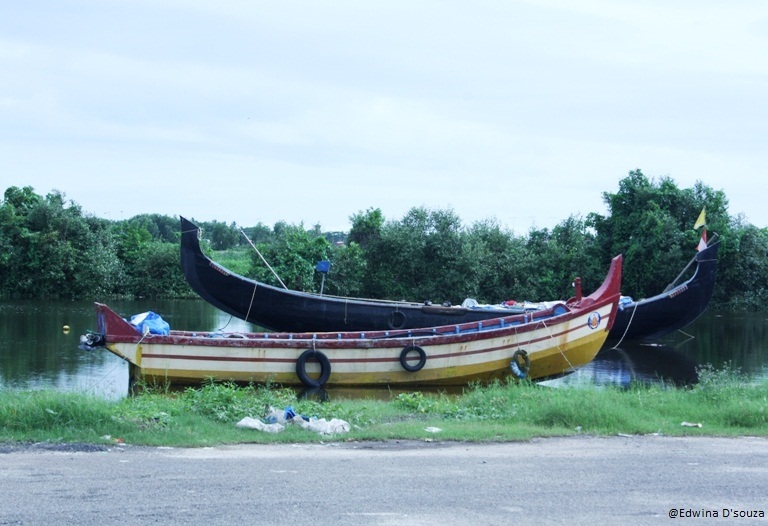 The location of the church also serves passing by fishermen who stop with their boats to offer their prayers here. One of the most interesting sights I witnessed on the visit was some devotees sweeping the church premises. It is believed that devotees sweep the church premises as gratitude and service when their wishes are granted. With so many interesting tales and the sight of a beautiful white-washed church, the visit to Our Lady of Ransom was worth it. While preparing to write this post, I researched further and found out that the Union Government declared it a Pilgrim center in the year 1951. In 2005, it was declared a Basilica. The church celebrates the feast of Vallarpadath Amma on 24th September each year, followed by a week long fair that happens during this festive period. 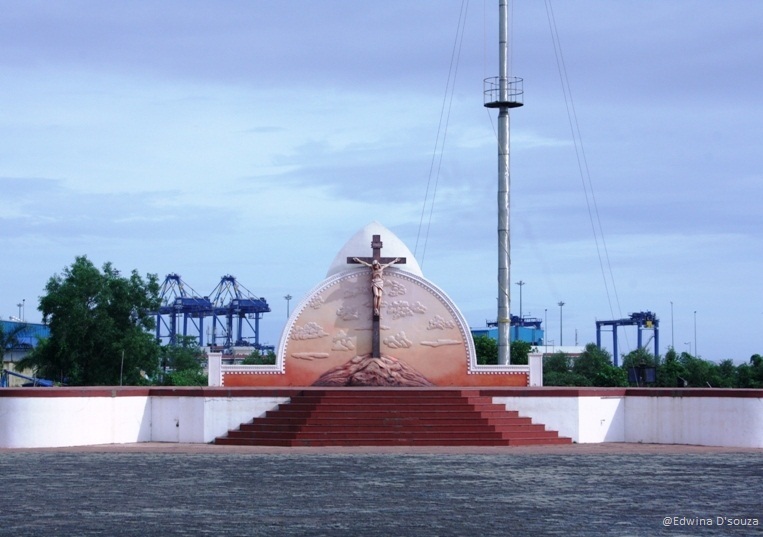 If you like your exploration a bit offbeat, Vallarpadam Church is an excellent mix of sightseeing, religion and folklore. Try to catch a glimpse of this one in your Kochi trip. 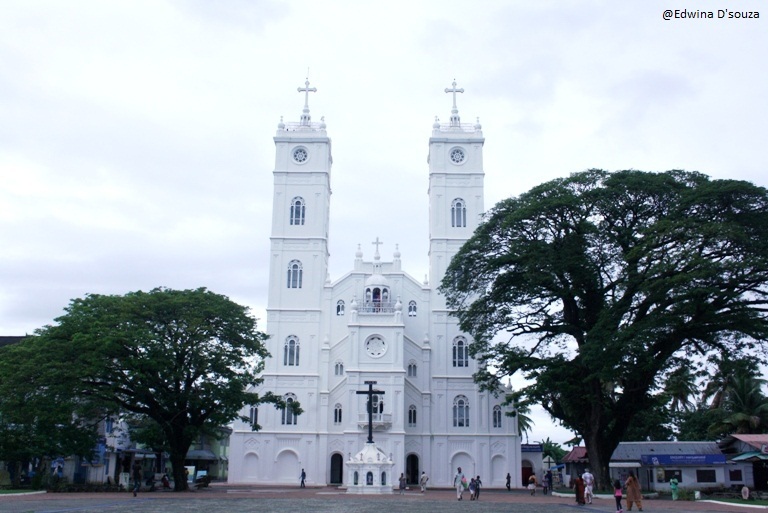 Church, Churches in Kerala, Cochin, Culture, Faith and Belief, Folklore, Kerala, Kochi, Religion, Sightseeing, Solo travel, Tradition, Travel. Bookmark.